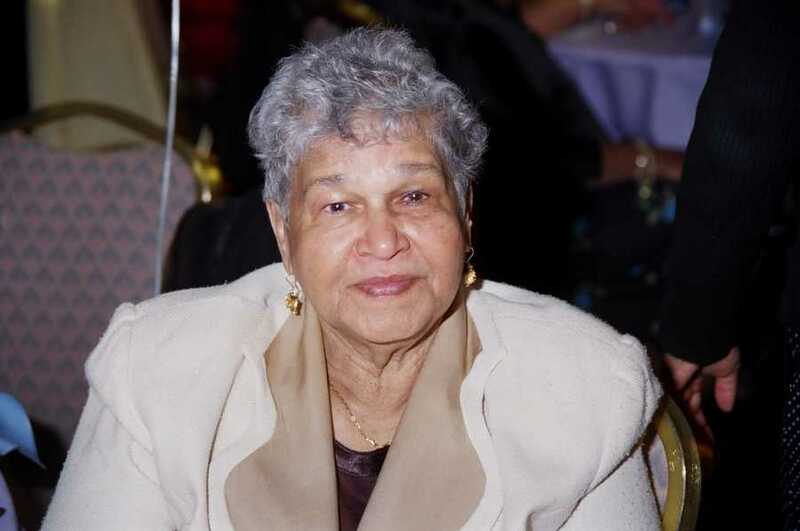 Sarah Josephine Jhingoree Mack was born on July 29, 1929 in West Coast Berbice, Guyana, South America from the union of Musson Bruce Jhingoree and Hannah Bowman. She was the sixth of 8 deceased siblings and the last to transition to the heavenly world. Her siblings were Marjorie/Elaine, Alwin, Doris, Samuel, Donald, Harriet, Hannah and Megan. She received her education in New Amsterdam, Berbice and had a talent for designing and making fabulous clothing, which she happily made for many. She was able to create patterns and make clothing without the aide of a store bought pattern. Her penchant included making wedding dresses, hats, reupholstering furniture or making anything that required fabric plus a creative mind. In 1968, she migrated to the United States to join her daughters and began her U.S. journey in which she went far and beyond to help the disabled. She worked for the United Cerebral Palsy for 25 years as a dedicated worker who advocated for her clients. She would even bring a client home for thanksgiving if that client did not have other family with whom to enjoy the holidays. She worked hard and gave her all to her children, family and friends, . She was a loving, caring parent who gave the guidance needed for success and independence in the oft-times tough world. Sarah did not only give the best to her family, she extended her love to others as well. There are many stories that would be told of how she helped to nurture others into successful individuals just by her kind deeds. Her nickname from many was “Mother Theresa” and it was said many times over, “She will shoot straight to heaven” when she passes on. She always thought of those in need and would also extend herself to ensure that they have what they need to survive. Case in point, the many barrels that she packed to send to Guyana. Even when she was not physically able in her later years, she taught us the valuable lesson of giving, as everyone helped to facilitate the buying and packing of the barrel. On December 26, 1951, Sarah Jhingoree married Trenton Mack and 5 children were born of this union; Patricia, Beverley, Marva (deceased), William Jr. and Marcelle. She also took on the motherly role for Bernadette, Thessa,, Yvonne, Lambert, Denise, Sandra, Ava, Troy, Faye, Marilyn, Noel, Deborah, Andre, Bryan, Michelle, James (deceased), Daphne, Neville, Cheryl, Donna and others. Sarah is survived by 4 children, 8 grandchildren, Raquel Tricia, Kareem, Rohan, Joseph, Tiffany, Laisha, Isaiah, Kenny, James; 7 great grandchildren: Erica, Anthony, Jonathan, Jahayra, Alec, Jessica, Marc and Isabella; daughter-in-law Caroline; Son-in Laws—Michael, Alfonzo (Jhango) and Joseph. She will also be missed by scores of cousins and friends. Sarah lived a life to be envied. She traveled the world to such exotic destinations as the Swiss Alps, Rome, France and the Caribbean. She enjoyed cooking & people loved her cooking. She was bestowed the honorary degree of Chef & Baker. Moreover, Sister Sarah was readily renowned for her Black Cake and her first class Cheese Cake, can we say “yum yum, good”. She was extremely well read and versed on almost any local, national or international hot topic. Sarah, Sister Sarah or Pretty Sarah will be remembered for her brilliant smile, her great sense of style and her great big ole heart. She will be missed by all, but because she left such an indelible mark, she will always be remembered in everything we do.